Paula Jon DeRose '10 M.F.A. joins the cast of Nora Ephron's Lucky Guy, with Academy Award winner Tom Hanks. 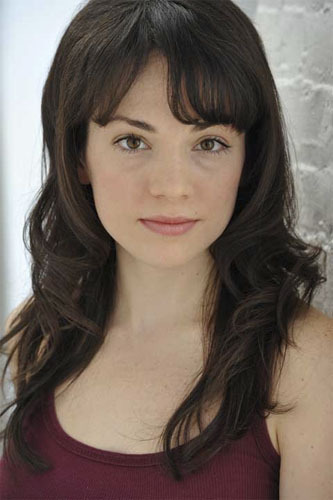 Paula Jon DeRose '10 joins the cast of Nora Ephron's Lucky Guy as an understudy for two of the play's female characters. Little more than two years after receiving her master of fine arts degree from Brooklyn College, Paula Jon DeRose is making her mark on Broadway. Nora Ephron's Lucky Guy, which debuted for previews March 1 at the Broadhurst Theatre, features Academy Award winner Tom Hanks in the role of late New York Daily News writer Mike McAlary. DeRose is an understudy for two of the play's female characters, including McAlary's wife, Alice, who is being played by the film and television actress Maura Tierney. "This is a dream come true," says DeRose, who grew up in New Jersey and often came to New York to see Broadway shows with her family. "I fell in love with the theater," she says, adding that this role is a huge opportunity for her. "Professionally, it opens doors." Lucky Guy, directed George C. Wolfe, celebrates the life of McAlary, a charismatic columnist who won the Pulitzer Prize in 1998 for his coverage of the infamous Abner Louima police brutality case. On Christmas Day of that same year he died of colon cancer at the age of 41. DeRose credits, in large part, the Brooklyn College M.F.A. in Acting program for her being selected as a member of the cast. "In 2008, I realized that, in addition to performing, I wanted to teach acting," she says. "So I auditioned for the Brooklyn College program and was accepted. Two years later I came away from that experience with a new confidence in myself and in my abilities." Acting program director Judylee Vivier made quite a positive impression on DeRose. "She was really hands-on," she says. "There was a lot of individual attention in the program, which is sort of rare. You're usually just one of many in acting classes." "Paula has a very special quality and talent," says Vivier. "I'm thrilled that it has been noticed and she has been given this opportunity." It also didn't hurt that Heidi Griffiths, casting director at the Public Theater, was casting Lucky Guy and recalled DeRose from an earlier visit to Brooklyn College. Lucky Guy will officially open on April 1 for a limited run through June 16. Noted playwright Ephron, who died in 2012, is best known for her romantic comedies, which include When Harry Met Sally and Sleepless in Seattle.